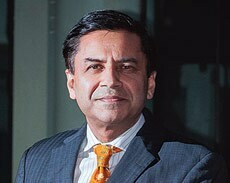 The Indian CEO's aspiration for his company is shifting from being the largest or the most profitable in India, to being one of the top 10 globally, writes PwC India's Shashank Tripathi. The Indian CEO is at an interesting crossover point. His aspiration for his company is shifting from being the largest or the most profitable in India, to being one of the top 10 globally. At the same time, India as a growth market is being ventured into aggressively by global competitors, requiring him to defend his position in his home market. He is caught between defending his home turf and expanding internationally. The CEO has to shape a new organisation with the strength to cope with both halves of this two part conundrum. The first tenet of globalisation is to be robust and financially strong in your home market. Despite recent complications and short term hiccups, India continues to grow and is an attractive market. While the country is currently on pause for another general election, there is ample evidence that growth will continue over the medium term. Our demographics are sound, the smaller towns are proving to be exciting markets, and the enterprise mindset of India is too deep to get disturbed. The width and depth of the home market which has over 600 million people in the emerging middle class alone provides long term strength. The home market is the passport most Indian companies are using to enter and dominate other markets. This was the leitmotif of the US globalisation effort some 50 years back, when the large US home market provided them a similar launching pad. A number of innovations and business models were tested in the US and then exported globally. McDonald's became a global brand because it created a scalable business model in the US and acquired financial and managerial talent to take it global. Clearly brand US helped these companies in that journey, and in turn benefited from it. Many companies in India are tooling up for a similar journey. FMCG companies have been ahead of the game by trickling into other emerging markets over the past two decades and now consolidating there. Telcom companies have refined and exported their business models. Industrial products and auto companies are acquiring companies in developed and developing markets. International multinationals are also using India to refine their offerings and use the country as a launching pad to other emerging markets, and sometimes back to their home markets. The CEO of a large US auto multinational recently told us that he intends to make his Indian operations the 'Detroit of emerging markets'. Our research shows that India will produce the largest number of emerging multinationals over the coming two decades, 20 per cent more than China. In this journey CEOs have significant assets from India and admittedly a few liabilities too. CEOs are considering globalisation on two different vectors. A number of them are seeking to enter and grow in other emerging markets, with their value propositions and business models having been tested in a very large emerging economy like India. The second vector is to acquire intellectual property, brands and sometimes market footprint to compete in the more developed markets like the US and Europe. While growth in these developed markets is slow, assets acquired here can provide both hard and soft capabilities to strengthen the company. For Indian CEOs, this landscape is exciting but requires them to drive significant change in the mindset and capabilities of their organisations. This includes creating leaders who are able to take the company to the next level of global evolution both in emerging and developed markets. The value conscious propositions and lighter business models typical of Indian companies may limit them as they go global. While senior managers in large multinationals come from Indian 'exported' talent, the ability to create global market leaders in India is still suspect. The acceptance of global leaders within Indian companies is still nascent. Brand India, with its purported soft power could aid this process, but if handled without imagination could come in the way of the globalisation journey. 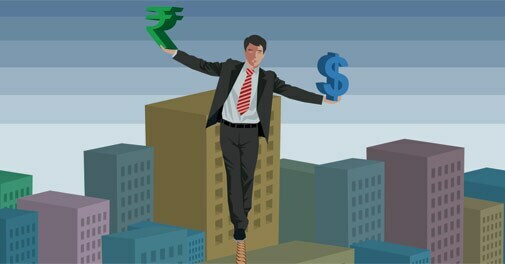 As companies globalise, they are defending themselves in the Indian market, which is under attack from global players. To compete, CEOs are building world class capabilities in a number of areas - from front-end marketing and sales capacity to back office functions like finance. The quality and quantum of competition in India is intense. It offers no respite to the CEO who knows he cannot compete with an organisation tooled for yesterday. In this re-tooling, CEOs and Boards have to compare themselves with international competitors. As India itself becomes global, the two agendas - defending brand India and global growth are merging in the mind and strategy direction of the Indian CEO. The solution - creating an organisation that is globally competitive from the word go is towards which Boards and CEOs are moving. The globalisation agenda is something which is no longer seen as an 'extra' to a company's strategy, it has to be stitched into the very DNA of the business. Every CEO who wants to remain competitive, and seeks profitable growth, has to take on the mindset of a global CEO.